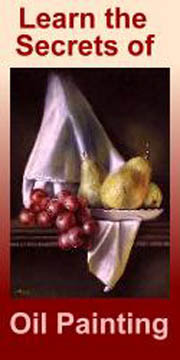 Online Oil Painting Lessons Teach You Basics of Classical Painting Methods. 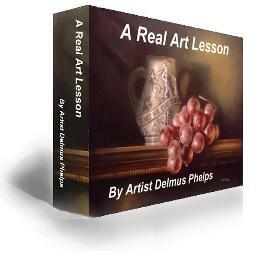 These oil painting lessons by Delmus Phelps explain the techniques of painting in the classical tradition, in a step-by-step manner, that makes one admire the craftsmanship involved in this time-honoured occupation. Have you ever wondered how the painting masters such as Rembrandt and Vermeer achieved the realism and durability of their classical paintings? Delmus has studied the Masters and practised their methods of meticulous canvas preparation, followed by patiently building up layers of transparent paint. In these online oil painting lessons he explains the reasons for the choice of certain brushes and how they are used, why it is important to ‘oil up’ the canvas between each layer of paint and how the surface needs to be cleaned before each application of paint. The properties of oil paint are explained and details, such as how to paint drops of water so they look real, described in a series of illustrated steps. You will be amazed how relatively simple the process is. 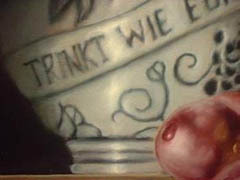 First colour being applied over layers - just look at those drops of water! By patiently building up seven or so layers of paint and allowing previous steps to show through, a richness and luminosity, not achievable in any other way, results. The longevity of your painting is also assured (comforting to your customers once you have become proficient and start to sell your work!). If you follow Delmus’ methods you will be able to give credible guarantees about the integrity of the workmanship of your paintings. 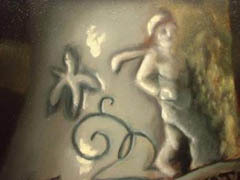 Finished painting - note the use of a primary light source as well as a softer, secondary one. This e-book and associated books (and a DVD about creating a flower painting) are not lessons in how to draw. In fact, Delmus works from photographs of his subjects, so the composition and lighting, hence perspective and tonal values, are already established. 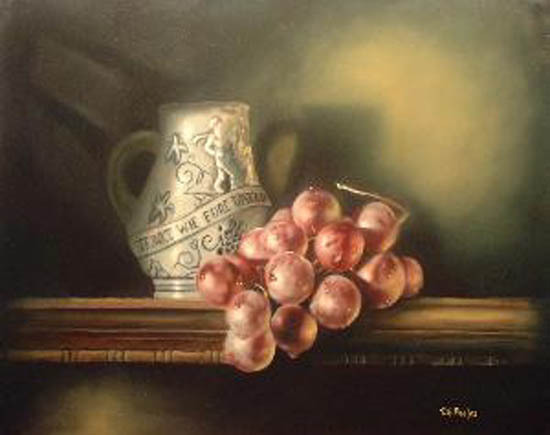 In the case of a still life, which he uses as an exercise, all you have to do is to set it up in a pleasing way then copy its photograph, either through 'gridding' or by using a projector. 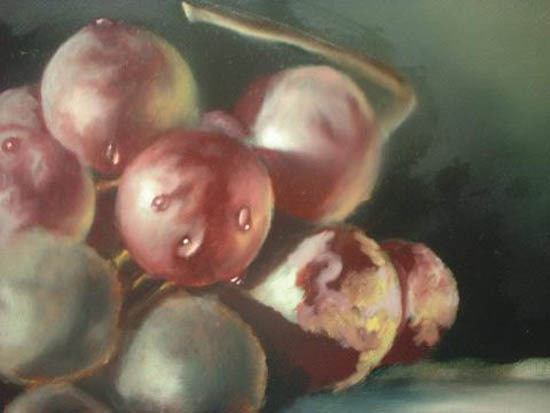 Although, initially, I felt rather disappointed that no real drawing is involved in these lessons, I now think this is an advantage for those purely interested in learning classical oil painting techniques, which they can then apply to their own free-hand drawings/sketches if they so wish. 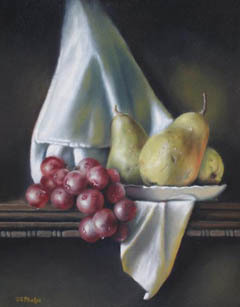 The painting tips that you will learn though your focus on techniques can be applied to portraits, interiors or landscapes in oils but Still Life is an excellent place to start as it involves knowledge of all design elements used in developing a painting. Delmus offers various ‘packages’ and discounts sometimes apply. Please do let me know how you find this course, should you decide to purchase it? Buy this inexpensive ebook now! 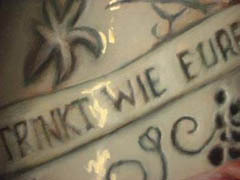 Stages in applying highlights to the porcelain jar - note soft, blended finish.